Fighting off human danger is a regular day’s work for any character played by Jason Statham. Trading blows with the biggest shark in the sea is something else altogether. That’s reserved for special days like August 10, which is when The Meg opens. After two decades submerged in the development process, The Meg is finally coming to the surface thanks to director Jon Turteltaub. 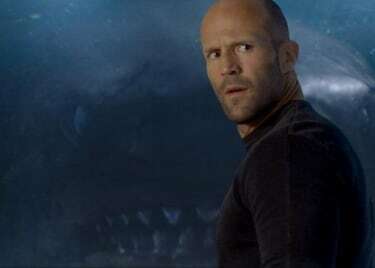 The film adapts Steve Alten’s 1997 novel Meg: A Novel of Deep Terror, with Statham as an expert rescue diver whose past experiences lead to a battle with the Megalodon, a prehistoric shark thought to be extinct for millions of years. With The Meg soon to swim in our waters, here’s everything you need to know about the film. Jonas Taylor (Statham), a deep-sea rescue diver, once survived a shipwreck caused by the Megalodon, a shark believed to have been extinct for millions of years. Jonas is ridiculed for his claims. He has to deal with the trauma of his ordeal on his own. Some time after the incident, an underwater research facility is attacked by the Megalodon. Jonas is called back into action by oceanographer Minway Zhang (played by Winston Chao), to rescue the scientists trapped in the facility. While initially reluctant to face the beast once more, Jonas ultimately accepts the mission. Aided by a group of marine researchers, the hero vows to defeat the prehistoric beast once and for all. While sci-fi, adventure and even horror are part of the genre skeleton of The Meg, the titular creature is actually based in reality. The Megalodon was one of the more enigmatic creatures in the animal kingdom, but there’s enough information about it to paint a relatively clear picture of its existence. The Megalodon first surfaced approximately 15.9 million years ago. The creature was fascinatingly large, growing up to 60 ft. long and weighing an estimated 100 tons. Even young Megalodons were estimated to have measured up to 20 ft. in length, a size similar to the largest great white sharks. Naturally, given its size, the creature is believed to have been extremely powerful. Its bite force has been estimated between 24,000 and 40,000 pounds. To put that in context, the Megalodon’s jaws theoretically exerted more force than that of a T-Rex. That’s a formidable creature! Fortunately for swimmers everywhere, the Megalodon disappeared more than two million years ago. Theories on its extinction are varied. One of the most popular suggests that new and faster predators ate the prey the Megalodon reiled upon, leading the species to extinction. The Meg brings together a large cast of characters to get in the water with that giant shark. 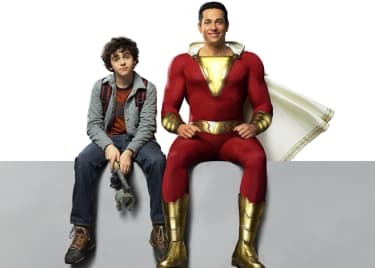 Here are the movie’s main players. Jason Statham is Jonas Taylor, an expert rescue diver and former Navy captain who survives an encounter with the Megalodon. Years after his harrowing experience, Taylor is tasked with saving the crew of an underwater observation program from his prehistoric nemesis. Li Bingbing is Suyin Zhang, Taylor’s ex-wife and one of the scientists attacked by the Meg. Suyin teams up with her former husband to stop the vicious creature. Winston Chao is Minway Zhang, a talented oceanographer and Taylor’s former father-in-law. Desperate to save his underwater research program, he enlists Jonas Taylor to defeat the Megalodon. Rainn Wilson is Jack Morris. A successful tech entrepreneur, Morris funds an ambitious underwater observation base that accidentally brings the Meg out of hiding. Ruby Rose is Jaxx Herd, a brilliant engineer and a member of the marine research team tasked with defeating the Meg. Cliff Curtis is James Mackreides, the Chief of Operations at the Mana One research station. In the novels, James is Jonas’s best friend. Jessica McNamee is Celeste. Not much is known about the character, but she’s a prominent presence in the Meg novels, and is also expected to be a big part of the film. Page Kennedy is DJ. Little is known about the character, but he appears to be a member of the research team looking for the Meg. The big question, of course, is how many of those characters will experience the Meg’s massive bite first-hand. We wouldn’t tell you if we knew, but we’ll all get to experience the terrors of the deep soon. The Meg will open on August 10, 2018.